‘Vegetables’ are important protective food and highly beneficial for the maintenance of health and prevention of disease. They are valuable in maintaining alkaline reserve in the body.There are different kinds of vegetables. They may be edible roots, stem, leaves, fruits and seeds. All among the vegetables group, green vegetables are considered to be the highly nutritious ones. But, all other colourful vegetables also plays a vital role to keep your body healthy. In order to keep yourself healthy, you need to consume every veggie in an appropriate amount. Here we will be talking about the vegetable which is bright, soft and a kind of root plant. It is Radish. The radish is one of the most commonly used vegetables in India. It is also used in many other countries in different forms. It is a hairy annual herb. It has no stem or branches, it has only one root which is round, cylindrical, white or red, fleshy, succulent with pungent flavour. There are many varieties of radish; differing in size, shape and colour. The most familiar ones among all is; red and white one. It can be white as well as dark-pink in colour. Radish is believed to have originated in Western Asia. It was also cultivated in some parts of Greece, Egypt and Rome. It has now spread all over the world including West Africa, Malaysia, Indonesia, South America and many more. 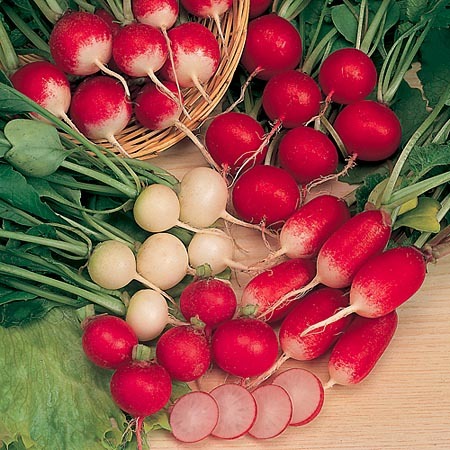 Firstly, red and white radishes are widely used in the form of salad ingredients; it is also used in salad dressing. The seeds of radish are used to extract a volatile oil which is white in colour and highly beneficial. The green spinach kind leaves of radish is used in cooking; it is alone used or used as a side ingredient in many curry items. It is also used to prepare a non-fried snack which is called ‘Haryali chanki’. Radishes are also used in cooking of some lentils recipe. Dumplings; these are also prepared using radishes. Red radish is also used to prepare pickles. Radish is also used in the dressing of fruit salad. Many other dishes are also prepared using radish like tikka and many more. Give 25 ml fresh radish juice with required amount of salt and black pepper powder. Repeat this process for 3-4 times a day; it is beneficial in curing stomach powder. Grind the fresh radish leaves with water and then boil them. Strain the solution and give this to the patient thrice a day. You cn also try, give 70 ml radish juice with 40 gm powdered sugar mixed in it. 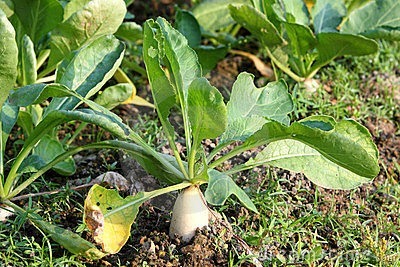 Cook radish as a vegetable and give this to the patient; it cured all types of Jaundice and anaemia. 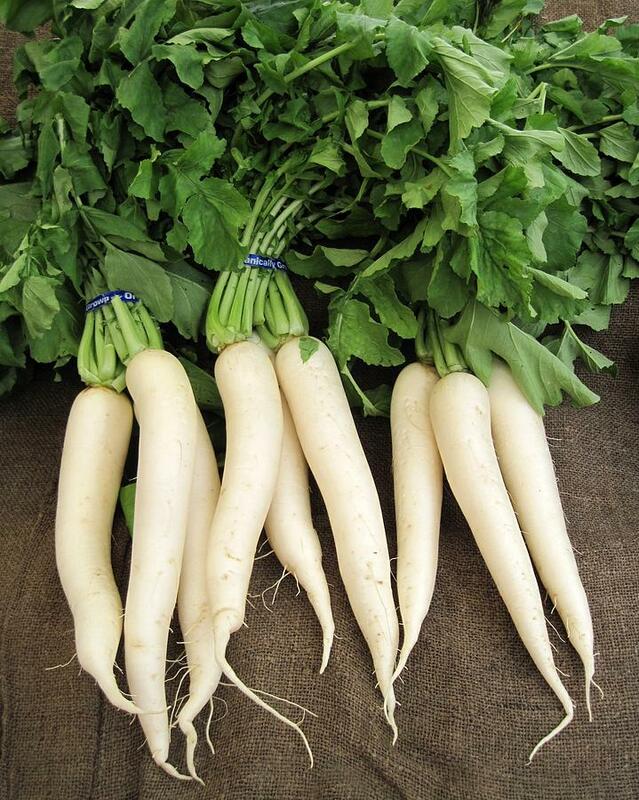 Give 20-40 ml juice of radish 2-3 times a day; it will normalize the urine formation. 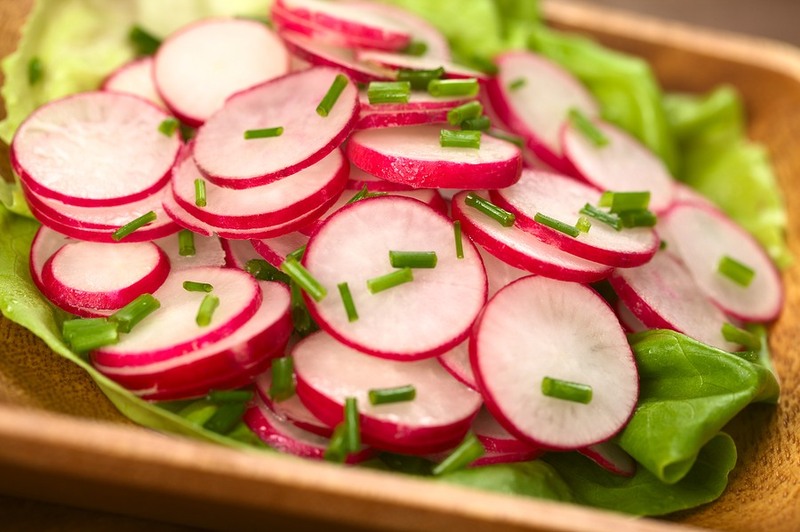 Patient should also opt to eat radishes; as it causes urine formation. 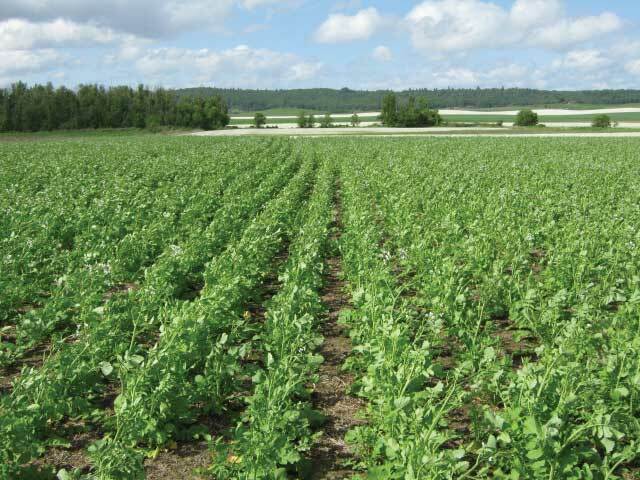 Give 10-20 ml radish leaves juice 3-4 times a day. In case of kidney pain; take 10 gm of kalmishora grind it in 120 gm of radish juice; let it dry and prepare tablets. Give 1-2 tablets twice a day. Mix radish juice in sesame oil and cook till only oil is left. Put this as an ear drop 2-2 drops on both ears. Take 3 gm extract of radish with 20 gm honey, mix them. Dip a piece of cotton in this solution and place it in ear. It controls the leakage of ear. For those who are suffering from acidity or constipation, use this remedy. Give soft radish to be eaten with sugar. Or give 10-20 ml juice of its leaves with sugar mixed in it. Radish must be eaten after meals; it will keep you prevented from digestive problems. It helps to digest the food. In case of swelling or inflammation; give 1-2 gm seeds of radish with 5 gm sesame seeds; 2-3 times a day. You can also give fresh extracted juice of leaves. Peel off the radish; separate its leaves and then extract the juice. Mix 6 gm ghee to it and give this to the patient in early morning. Boil 10 gm alum in one litre of radish leaves juice; make it thicker enough to form tablets. Give one tablet with butter, followed by 125 gm of curd. This is an effective treatment to cure piles. Radish is one of the best ingredients to cure and relief Calculus. Give 100 ml juice of radish branches; thrice a day to the patient. Give 10 ml juice of its leaves with 3 gm celery seeds mixed in it. Repeat the procedure for thrice a day; it breaks the stones into small pieces and those comes out with the passage of urine. You can also give 1-6 gm seeds of radish thrice a day. It dissolves the stone in the bladder. Take a fresh white radish and extract the juice from it. Juice should be optimum in order to rinse the eyes. Rinse eyes with its juice; you can also dilute the liquid with a small amount of water in it. It cures haziness of eyes and also treats other eye problems. Grind 5-10 gm seeds of radish. Give this to the patient with warm water 3-4 times a day. It cleanses and clears the throat. Cut radish into 4 pieces. Then sprinkle 6 gm powder of roasted alum on it. Place those pieces in the open overnight. Next morning, eat those pieces. It is beneficial in curing syphilis and dissolves stones. Give 500 mg to 2 gm extract of radish with 1 teaspoon of honey. Give this dosage three to four times a day. It gives relief in Asthma. So, in this way we saw numerous benefits and medicinal uses of radish and its leaves too. You mus be amazed now, how can such a simple plant so much beneficial! Guys, as a fact if you try exploring the efficacy of nature then you will find each and every herb beneficial. So, Go green live well!